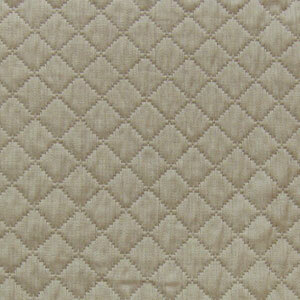 THE FAR EAST COLLECTION Far East is a large diamond pattern in a jacquardweave. 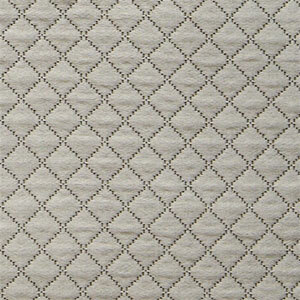 Far East complements many SDH patterns including Jasmine, Hibiscus and Hydrangea. This collection provides the finishing touch towards creating a heavenly respite. Made with 100% Egyptian Cotton 536 threads per sq. inch. FAR EAST SWATCHES Left to right: Oystershell, Pearl. 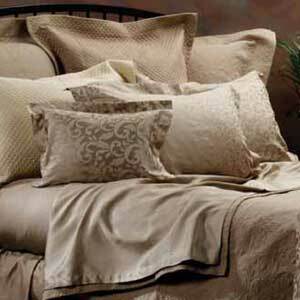 Shams: Boudoir 12x16, Std 21x27, QU 21x31, King 21x37, Euro 27x27. Colors (shown left to right, top to bottom): white (not shown), creme, taupe, old brass, mink, chocolate(discontinued), oystershell, pearl. Coordinates Ming, Marrakesh, Jasmine, and Sateen. Far East has rounded corners and taped edges.